EDIT: APRIL 13 - NEW BETA RELEASE ADDED. FOR DETAILS, SEE MY LATEST POST BELOW. Hello all! 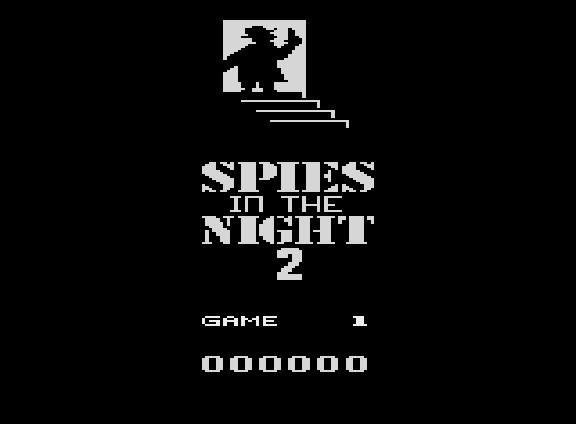 I'm excited to announce that Spies in the Night 2, which has secretly been under development for 6 months or so, is now ready for beta testing! I believe he posts archived shows on YouTube, so that will probably be available soon. There is still quite a bit of work to do, but I'd like to get feedback on the game, good or bad. Let me know what you think!! Below are the .bin and a preliminary instruction manual. Edited by graywest, Sat Apr 13, 2019 4:12 PM. I was pushing hard for this sequel and I haven't been disappointed at all! This title is even better than the original! Who would have guessed that!! I've been beta testing Spies 2 since August for Jared and it is awesome!! I can't wait to see any more ideas the AA community can come up with. I've completed maps for Games 1 & 2 which are beatable as they stand now. One of my suggestions to Jared was to release a "Demo" ROM (like Darrell Spice Jr.'s Stay Frosty 2 "Demo" 8 level ROM) for the first 2 games, and then have all 4 games on the cartridge release (Game 1, 2, 3, & R). 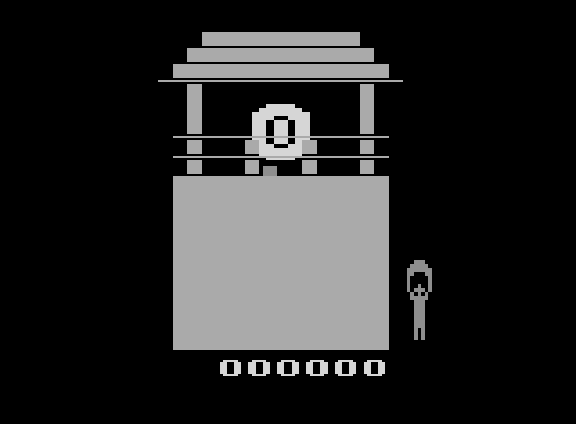 (I think) This is the ROM that Jared has provided above. Attached are some screenshots of Spies 2. Thanks Arenafoot!! All your help is much appreciated. You are correct about this ROM: only games 1 and 2 are included. I haven't finished the map data for game 3 yet, and game R hasn't been implemented. Hopefully, the two included games will keep people busy for a while. 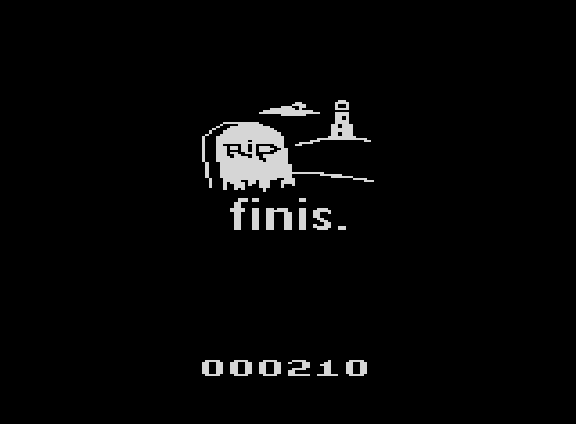 Also, I changed the map for game 2 since the last ROM you saw, so this is an all new level. I haven't actually beaten it myself yet, so I'm open to feedback on this as well. Are the levels too difficult? Too easy? Completely impossible? Let me know. I think the game could also be good for speedrunners. 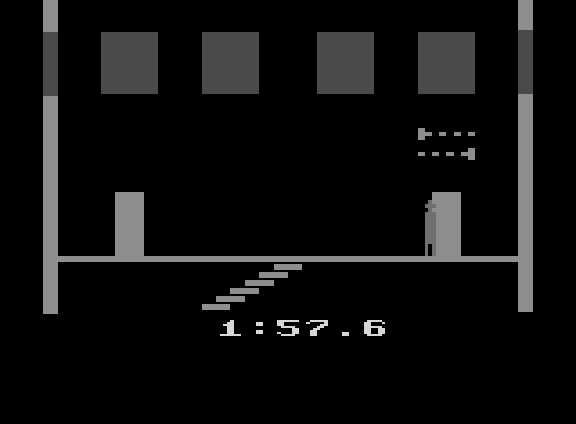 Finding and mapping the BEST path through the lighthouse can be a challenge, and at the end of the game you receive 10 points per second left on the clock. Let me know the best scores on each game! This project's looking great so far! I haven't beaten either of the games yet, but I like how the game expands on the stealth-based gameplay of the first with new challenges. I do have one complaint, though, and it regards the electric floor rooms. These are by far the hardest challenges in the game, and I have yet to pass one without wasting a good portion of the game's clock. The momentary flash makes it very difficult to memorize everything in one go, so you're essentially forced into tip-toeing your way around until the next flash happens. Personally I think that the flash should be longer so that it's easier to memorize. All in all, I'm excited to see the rest of this project, especially the randomly generated tower! Thanks bluswimmer! You may be right about the electric floor rooms. When I created this game type, I didn't intend for people to try to memorize the whole layout in one flash - just enough of it to make progress while the room is dark. But I've heard some others saying the same thing, so I'll up the "lights on" time a bit. That should hopefully balance this game type a bit more. I don't want people to blow a huge portion of the game clock on any one room. The electric floors are not my main issue. It is the window and spotlight section. That spotlight is so damn erratic that I easily lost more than a minute the 2nd time I encountered it on the first game map. Whereas the electric floor levels aren't that bad for me. I definitely agree - fixing the spotlight is on my list of issues to take care of. Thanks!! Awesome premier last night! You've really nailed it with this sequel. One suggestion I would make is for the laser room. It might feel more natural if the lasers slow down and then speed back up when changing direction. I.E. move 1/4 speed when in the left 10%, 1/2 speed in the next 15% and full speed the rest of the time. I think this would really look nice on the vertical moving beams. There also appears to be a slight glitch where the direction changes? It looks like the beam may skip a few pixels during the direction change. This is such a great sequel in so many ways. I love the continuation of the theme/narrative with so many added gameplay variations and elements. I also agree with other commenters about ways to improve the balance (less delay between flashes in electric rooms and improving the spotlight on window rooms). Regardless, this is a game I can't wait to see completed and ready for sale. It has that high quality feel of a game that would have / could have been commercially released in the late 80s. I like the style of the game and the complete lack of colors. However, the very limited use of an accent color would even improve that style. E.g IMO a splash of blood red in the game over screen would look cool. To be clear, what was happening was that the spotlight was basically just bouncing in a small area on the right hand side and didn't seem to deviate from that area much at all. When it did it was only for a very brief second. But the windows had pretty much no cover on the right hand side so I just had to wait until the light eventually decided to stay on the left and it did burn away more than a minute waiting on this. The other floor level that I think needs some balance is the laser room when you have the two vertical lasers and 2 smaller horizontal lasers. I just couldn't seem to move fast enough to NOT be moving trying to clear past them. I did eventually but then I guess this is where mapping out the routes comes into play to find the easier of the two room options. So I haven't managed to beat either game yet. 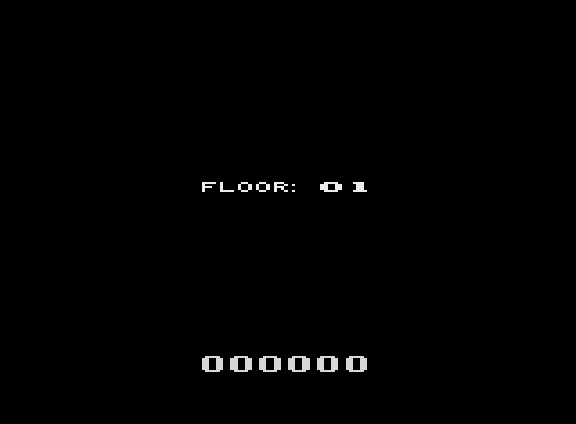 In fact the highest I have been able to get is floor 21 and that was only because I found an elevator bonus that took me up 10 floors. For the Windows and Spotlight the manual speaks about a "distant sniper who will kill you with a single headshot". But the action and sound do not match here. I think it would look better if the timer is always at the same vertical position. Same for the score. 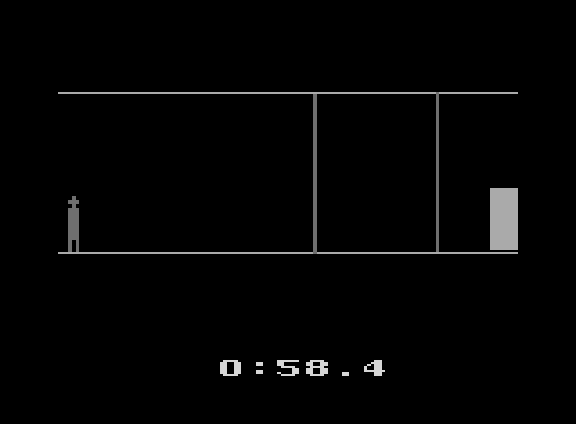 Also an individual font for timer and score would add to the style. BTW: Did I mention that I like the game? Edited by Thomas Jentzsch, Fri Oct 5, 2018 8:53 AM. I'll look into the laser speed - might not have enough RAM left, but we'll see. You're right about the lasers skipping a frame when the directions changes - I added that to my list of things to fix. Keep trying! If you're playing Game 1 and got to floor 21, there are some extra time bonuses and warps around that area. You're almost to the top. Haha - yes, I'm kind of torn on this one. On one hand, I like the "consistency" of an all black and white game from a design perspective. On the other hand, it would be kind of cool to have a splash of color somewhere. I'll think about it. Danke, Thomas! I added 1-4 to my list of things to fix. I'm especially glad you noticed that the minute underflow does not work. I hadn't seen that happen before, but it looks like you're correct. Also, I definitely want to add a custom font. I'm thinking about reusing the font that I made for Spies in the Night 1, but maybe something new? We'll see. Although I haven't been able to dedicate much time to playing this game, I really, really like it. I look forward to finding a couple of hours to dedicate to playing this game. Thanks for the ROM. Can't wait to start drawing some maps. Edited by sramirez2008, Sat Oct 6, 2018 11:00 AM. To increase the replay value, I suggest controlled randomly generated maps. You still would have 3 games, but each would be available with multiple maps which would be generated on-the-fly based on a special seed. To keep the maps fair, some logic for the map generation will be necessary. But I suppose this already exists for Game R? Yes, that's correct - Game R will be randomly generated (based on some controlled set of rules). That mode hasn't been implemented yet, but I'll get there one of these days. It's been a while, but I'm finally getting VERY close to being finished with Spies in the Night 2. Lengthened the "Lights On" period in the electric floors rooms. Not by much, just a few frames. But I think it will make a difference. The amount of time that the electric panels light up now starts longer and decreases as the difficulty increases. Finished the "Game 3" map. Game 3 and R are done, but not selectable in this beta release. I may make these "cart exclusive" levels if I end up having some carts made. Fixed a bug where the audio would stay on during room transitions. 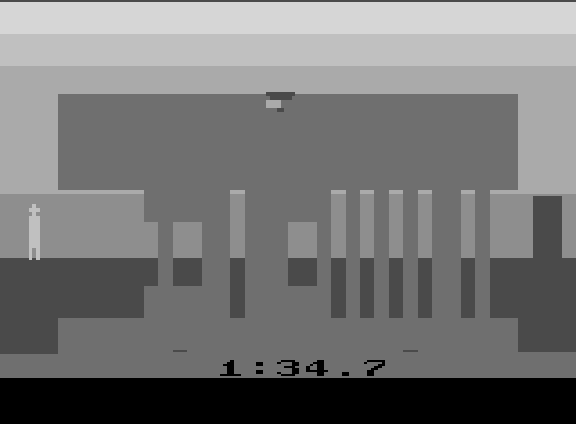 Implemented Game R, which is a lighthouse of 99 floors that is randomly generated each time. Added new sound effects in various places. You can now use the select switch on the console to increment the game number at the title screen. The reset switch on the console returns you to the title screen and zeroes out the score. Added some background details to the "ENIAC" bonus rooms, like blinking lights, etc. Fixed the erratic spotlight movement. 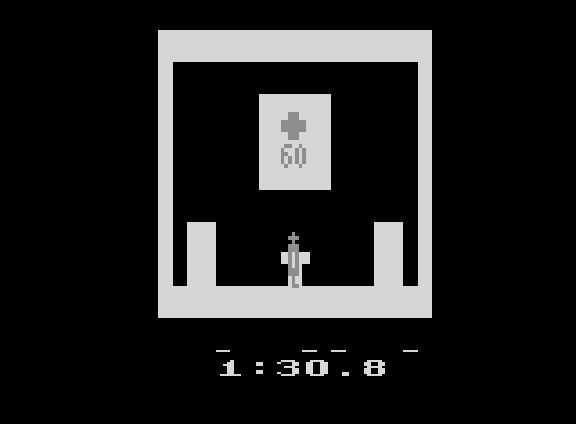 There are now 3 types of movement, depending on the internal difficulty rating of each room. In the "Hide behind the boxes" room, I fixed the box gap width and set up some difficulty ramping. Difficulty ramping on "Stay out of the windows" rooms. I added the custom score font from Spies in the Night 1. Fixed an issue with the security lasers skipping and smoothed their movement at the edges of the screen. Fixed the underflow bug in the bonus room when time is subtracted from the timer. Fixed a couple of places where the frame was jumping. New death animation for the "Stay out of the windows" rooms. New data for each game. Game 1 now has 25 floors, and Game 2 has 35. Feel free to try it out and let me know if you spot anything that's still broken. Especially if you run into any rooms that you absolutely cannot pass. Screenshots are helpful. Also, if you feel up to answering some questions: how is the difficulty? Too hard? Too easy? What other suggestions do you have? Here's the latest - iesposta composed an amazing song for the title screen! ...if I end up having some carts made. I have a couple of things in the works, so I'd say that there will almost certainly be physical carts. We'll be featuring Spies in the Night 2 on Wednesday's ZeroPage Homebrew stream on Twitch at 11AM PT | 2PM ET | 7PM GMT! Hope everyone can watch! UPDATE: Link to YouTube Archive of show! Edited by ZeroPage Homebrew, Thu Apr 18, 2019 12:21 PM.